Wakelet is a tool that allows users to take control of the content that interests and inspires them. Wakelet users can save content and organize it in folders or wakes (e.g., student portfolios). It bridges the gap between humans and algorithms to curate beautiful and functional content in a personal way. Wakelet is a great alternative to Padlet or Storify. You and your students can curate videos, images, links, and more. 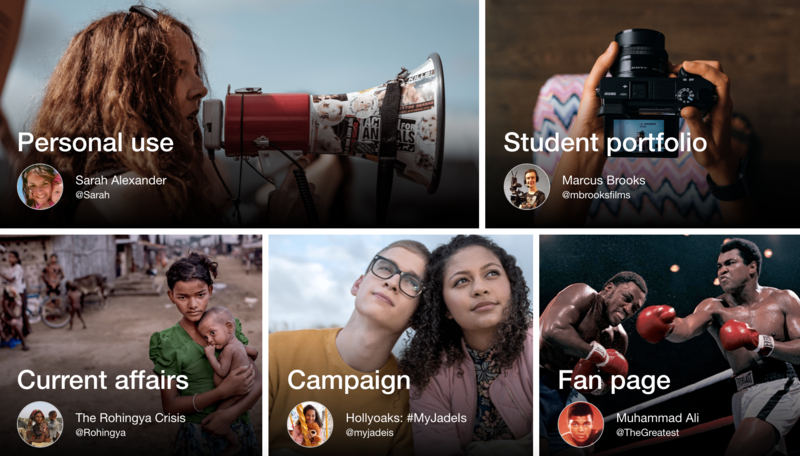 If you are struggling to tell stories that are engaging, organized, and inspiring Wakelet could be beneficial because it allows users to curate customizable content. It is also a great tool for keeping research projects interactive and social. Substitution: Students read an article on Wakelet instead of in class. Augmentation: Wakelet allows for multimodality by allowing users to embed images, videos, articles and more. Modification: Students curate information and resources about a specific topic on Wakelet and can share it widely via social media for feedback. Students critically analyze content and research to create an archive for discussion. Redefinition: Students have access to real-time collaboration on multimodal content curation. Far too often, technology is used as a direct substitute for other low-tech tools (e.g., pencil and paper). While substitution has some benefits (e.g., students develop their technology skills and knowledge), we encourage you to think about how you might use Wakelet to modify or redefine learning. Science: Conduct research (e.g., #climatechange); Create a wake about the importance of alternative energy; Collaborate with research a scientist; Learn how to conduct an experiment by gathering research and videos to follow.